Does your car rule the roost? Pampering your car has become a very lucrative business. The availability of services like The Car Agents which provide Spa Days and Bespoke Detailing that offer the ultimate in prestige car care with, "...flushes, scrubs, treatments and applications of the finest paint and interior treatments you will ever find” are testament of the extent to which passionate owners imbue their vehicles with almost human characteristics, caring for them as they would a much loved pet, or even a member of the family. In our recent Fast Talker vid, F1 presenter Natalie Pinkham admitted that her Jaguar SUV is better tended to than her home! While the average Brit spends on average just 90 minutes washing their car a month, many enthusiasts are out cleaning their vehicles each and every weekend, or even shelling out for a hand car-wash. UK car owners as a whole spend half a billion pounds annually on commercial car washing. Over in the UAE, well known for its love of supercars, the average owner has their car professionally cleaned at least three times a month. Dedication, obsession, or just further evidence of humanity’s age-old love-affair with the automobile? 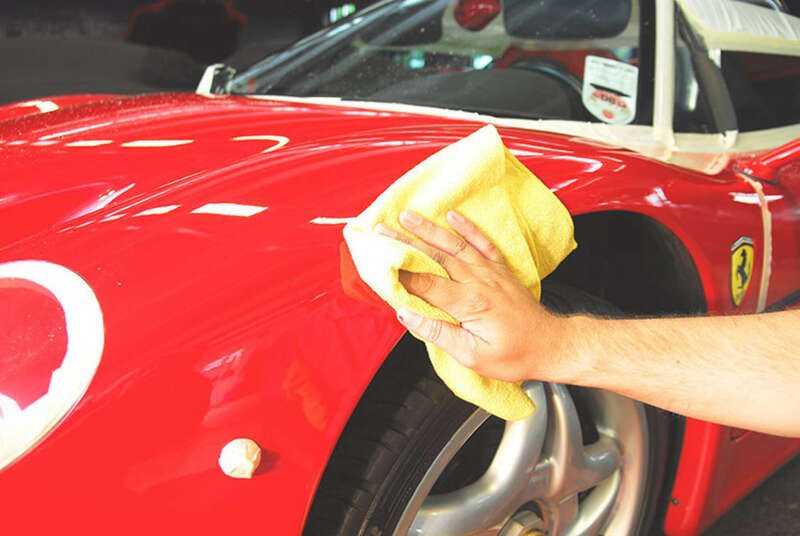 From exotic cars to vintage classics, owners can go to extreme lengths to keep their vehicles in tip-top condition. Why risk storing your pride and joy in your dusty, leaky garage when you can pay a monthly fee to keep it safe and secure in a classic car storage centre? Or better still, if you can afford it, then you can purchase a spot in one of two exclusive supercar ‘Bat Caves’, where models from Bentleys to Bugattis are stored in air-controlled storage rooms underneath ‘pyjama’ covers until their owners are ready to pick them up! And while high-end storage solutions and car spas are one way to ‘maintain’ a special vehicle, such measures do not necessarily define its value. Steve Simpson, senior underwriter in ERS's Classics division says: "While having a well-maintained vehicle is clearly a good start, when it comes to prestige or classic models a car's true value is determined by numerous variables; from rarity or unusual features through to condition and history. Building an Agreed Value service into a classic or prestige motor policy will ensure it reflects the unique nature and value of that vehicle – giving assurance to customers in the event of a claim." Of course we understand that the care and maintenance furnished on such vehicles is about pride and passion over 'value' but an Agreed Value service - free of charge with a corresponding ERS policy - provides an independent assessment beyond what's only apparent on the surface. Recent examples of cars which may have deceived on initial appearance but fared well at auction include a Porsche 928 that once belonged to late musician and ex-Beatle, George Harrison - a fact only discovered when the seller's wife checked the log book! - and more recently Keith Richards' Ferrari 400i - which were valued at £120,000 and £160,000 respectively. As a specialist insurer that recognises the uniqueness of such vehicles, and their owners connections with them, we work with our specialist brokers to understand such vehicles in precise detail - helping us go the extra mile to keep these prized possessions (often priceless in their owners’ minds) protected – both on and off the road.